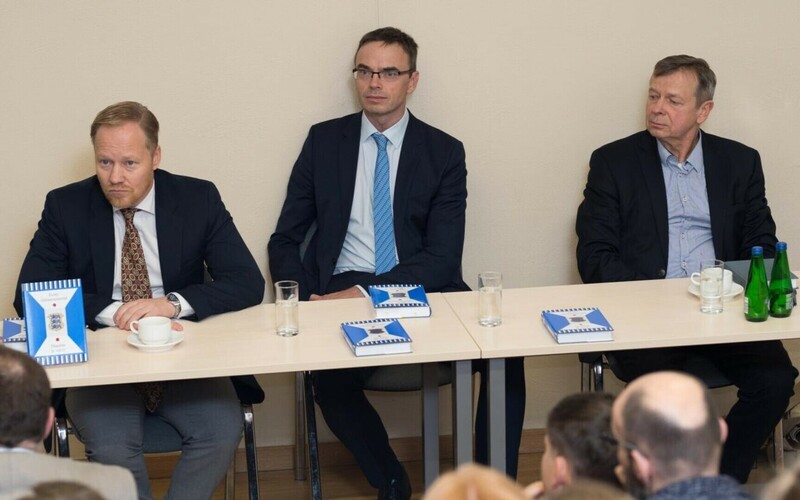 Minister of Foreign Affairs Sven Mikser (SDE) visited Tartu on Tuesday to present a new volume of speeches, titled "Estonian Ministers of Foreign Affairs: The World and Us," published on the occasion of the 100th anniversary of the Ministry of Foreign Affairs. A lively discussion on Estonia's foreign policy with the Society of International Relations of the University of Tartu took place at the book launch, according to a ministry press release. According to Mikser, the speeches in question play an important role in defining Estonian diplomacy. "Foreign policy is fast-paced in nature," he said. "Sometimes distance is necessary to fathom how rapidly Estonia has progressed in the past 27 years. The small country steadfast in pursuing memberships of NATO and the EU has become a reliable partner to many countries, and leads the way in fields such as cybersecurity." Estonia must not take for granted that its country is safe, its entrepreneurs have access to external markets or that Estonians can travel to more than 100 countries without a visa, he continued. 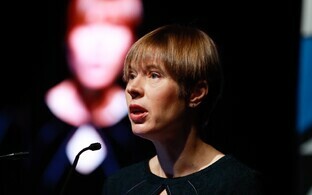 "It is safe to say that the story of Estonia's independence continues to be the success story of our foreign policy, and each speech is an important tool in making our voice heard," Mikser emphasised. In a discussion with the members of the Society of International Relations, a student organisation, topical issues including Estonia-Russia relations, cybersecurity and the future of the EU were examined through the prism of earlier speeches. Society president Anna Linda Tomp was pleased to see that young people are increasingly involved in public discussion, and not only on national matters, but also on foreign policy issues. "I cannot think of a better way to discuss world affairs than to dive into Estonian diplomacy and the history of foreign policy, enabled by this collection of speeches and today's discussion," she said. The collection of speeches was published as part of the "Story of Estonian Thought" book series which will soon be celebrating its 25th anniversary. Mart Trummal, from the foundation of the same name, noted that publishing the speeches as part of the book series is the best way to introduce them to Estonian readers. "The collection consists of the thoughts and words of those who have represented Estonia abroad during its period of rapid development. These speeches are also part of the Estonian thought and the Ilmamaa Publishing House is glad to publish them," Trummal said. The collection of speeches, published in cooperation with the foundation Eesti Mõtteloo Sihtkapital and Ilmamaa Publishing House, contains speeches by foreign ministers from the period after Estonia regained independence, and illustrates the development of Estonia's foreign policy. The collection is compiled by Estonian diplomat Tõnis Idarand. The book is available in bookstores across Estonia beginning this month. The Ministry of Foreign Affairs celebrates its 100th anniversary on Wednesday. Although the Estonian Foreign Service was formed as part of a longer process, many consider 14 November 1918 as the date when the Ministry became formally active, asking the British and French consuls in Helsinki to send arms and assistance to stop the retreating German forces from taking away assets and food. In the story of Estonia's statehood, this is an important moment: the Ministry of Foreign Affairs is the only Estonian government institution that has operated continuously for 100 years.